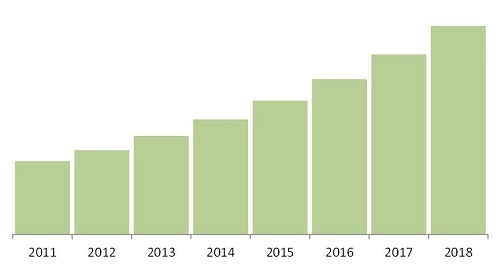 The report “Pressure Pumping Market by Types (Hydraulic Fracturing, Cementing, Others), North America Resource Type (Conventional, Unconventional), North America Well Type (Horizontal, Vertical), & Geography - Global Trends & Forecasts to 2018” defines and segments the pressure pumping market with an analysis and forecast of the global revenue and hydraulic horse power consumed. Browse more than 90 market data tables with 31 figures spread through 232 pages and in-depth TOC on "Pressure Pumping Market by Types (Hydraulic Fracturing, Cementing, Others), North America Resource Type (Conventional, Unconventional), North America Well Type (Horizontal, Vertical), & Geography - Global Trends & Forecasts to 2018"
The major drivers for the pressure pumping market are increase in the production rate, new additions to recoverable reserves, energy strategy shift towards gas, and energy security by domestic supply. Water availability and public outcry are seen as major restraints to the pressure pumping market.North America holds a major market share in the global pressure pumping market. Research and development initiatives by the American Government and favorable regulatory conditions have helped the American market grow to this level of being the market leader in pressure pumping. The global pressure pumping market will grow from an estimated $55.0billion in 2013. This value is expected to increase to $116.15 billion by 2018at a CAGR of16.1% during the same period. North America is expected to lead the global pressure pumping market with a share of nearly 80% in terms of hydraulic horse power that will be supplied by 2018.